Are you keen on travelling? Want to create your own website and blog about trips? This theme is perfect for you! WorldMap is the perfect match to display your travel blog! You will be able to easily edit and customize it with the help of Elementor page builder! With this them you will be able to showcase your astonishing photos from visited places, easily write and customize your blog posts, add stunning social icons, elements and other features to make your online presence eye-catching. Here youâ€™ll find such awesome plugins as JetElements and JetBlog, both being irreplaceable for a blogger! They provide you with limitless possibilities of site building and blog posting. 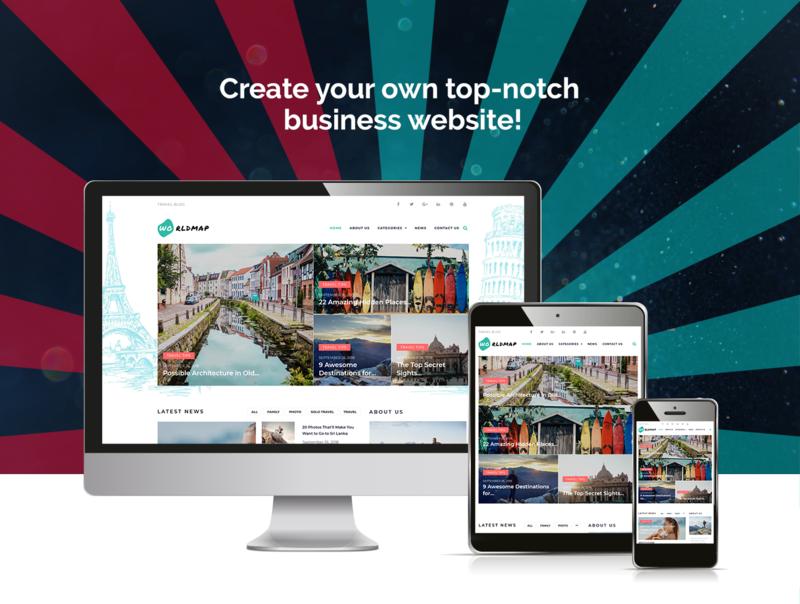 WorldMap is fully crossbrowser and responsive - it will look greatly on any device, therefore your audience can follow up your updates anywhere. Marvelous photos in Gallery will decorate your site and spice up your blog posts. Your visitors will be able to leave their feedbacks and share their thoughts on your site. 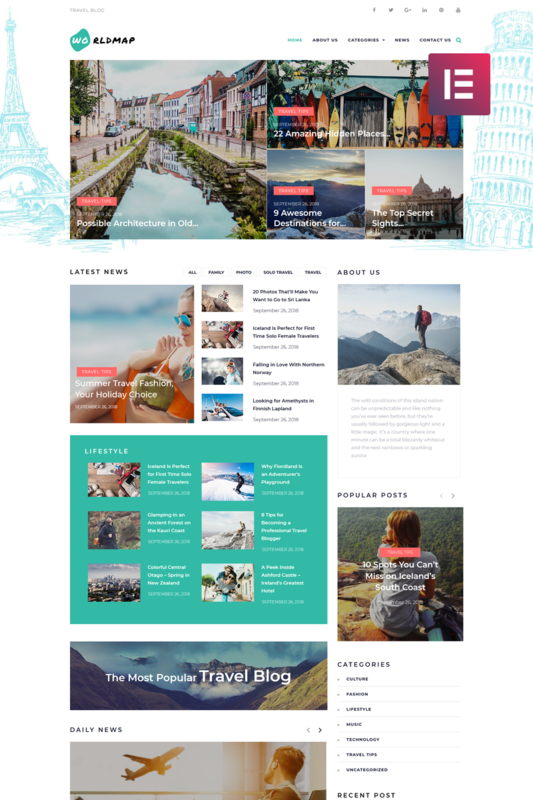 Donâ€™t miss the chance to start blogging with WorldMap blog WordPress Theme!